There are three ways in which two or more persons buying a property in France can hold the property. The first way is what is called “en indivision”. This is roughly equivalent to the English way of owning a property “as owners in common” when the deceased’s share of the property does not automatically pass to the survivor on the first death and instead passes under his or her Will if he or she made one and failing which under the English rules on intestacy. This ownership “en indivision” is the way in which the Notaire will generally choose to insert in the purchase deed unless specifically instructed otherwise by the buyers. Under this type of ownership, on the death of one of the parties, their share of the French property will pass under the deceased’s Will, only if its validity is recognised by French law, or if there is no such valid Will, under the French rules governing intestate estates. If the deceased has made no valid Will recognised by French law, the deceased’s share of the property will immediately on a death vest in the deceased’s heirs, subject to some rights of the surviving spouse to claim interests which fall short of full ownership of the deceased’s share of the property. These rights are beyond the scope of this article. Persons owning a French property en indivision should always therefore make a valid French Will if they wish their spouse to inherit the most they can under French law. Under French law a person making a Will dealing with any French property is obliged by law to leave a minimum percentage (called the “Reserve”) of that property to the children of his or her body, legitimate or illegitimate. The amount of the “Reserve” depends on the number of children the deceased leaves at his or her death. Under the new EU Directive which came into force in respect of deaths occurring on or after 17 August 2015 a UK national may, if certain requirements are complied with, opt out of the French rules of the ‘Reserve’ and leave their French property to persons other than those entitled under the above rules. However that change does not apply to the French taxation laws following a death and therefore persons wishing to take advantage of the Directive should still take professional advice as by so doing, they could dramatically increase the amount of French inheritance tax payable by the persons to whom the gift is made in the Will. Barney & Company will, if consulted on a professional basis, guide you about these matters so that the beneficiaries do not receive a nasty and unexpected shock over the amount of tax they have been saddled with as a result of taking what had appeared as the advantage of making use of the Directive. Therefore the Directive should never be used without seeking such professional advice on a case by case basis. A Will which does not respect those rules will not be accepted as a valid Will by the laws of France and the rules relating to the Reserve will still have to take effect. So it is always important for persons owning French property to make a Will which respects those rules. Barney & Company can assist you with making a French Will. We have found in practice that many English Solicitors, on making Wills for persons owning a French property, are unaware that different rules apply to a French property. Such persons therefore should always consult lawyers such as Barney & Company to guide them through the process of making a Will which will be valid in respect of property in France. Therefore an English Will under which the testator leaves the entirety of his property to his or her surviving spouse (as is the common form of Will drawn up by English Solicitors) will not be recognised as valid by French law on the first death. It is always best for persons owning French property to make a separate French Will (preferably in French but a Will in English will still be recognised, but the Notaire will require a certified translation of it). The French Will should then deal ONLY with the testator’s French property. That means that if the parties have already made English Wills under which they have left all their property “whatsoever and wheresoever situate” (as English Wills are commonly drawn up) they will either have to make a codicil changing that provision or make a new English Will which deals with all their property other than any property in France they may leave. I think the latter is much the better course. They then also need to make a French Will (which deals only with the French property) which Barney & Company are able to assist you with. I will deal below with the possible advantages and disadvantages of using the “indivision” way of holding a French property. The second way of owning a French property is “en tontine”. That is approximately the same as persons owning an English property as “joint owners” (where the English property passes on the first death automatically to the survivor) as opposed to owners in common where the position is as set out above. Under tontine ownership the entire property passes on the first death to the survivor absolutely. The disadvantage of owning the property “en tontine” is in relation to the amount of French inheritance tax (“droits de succession”) payable on the deaths of the owners and on occasions this type of ownership can significantly increase the amount of droits de succession depending on the personal circumstances of the owning couple. The reasons for this are technical and beyond the scope of this article. If you need an explanation of this you should take advice from Barney & Company about this before you purchase any property in France, as once you have bought a property, whether en tontine or en indivisionthe legal expenses of transferring to a different type of ownership are colossal and may be equivalent to the already high legal fees you have incurred in buying the property! With the purchase of French property there is no “one size fits all” and because of the complexities of French law the way in which each couple buys the French property has to be tailored to each persons personal circumstances and account must be taken when deciding how the property is to be held by them of the very high rates of droits de succession (as high as 60% in some cases if the proper advice is not sought) which can apply on the death of one or other of the owners. It is only by taking expert advice before buying a property, that you can avoid the many pitfalls. Barney & Company can advise you of the best way to avoid these pitfalls which require the taking into account not only the French laws of succession, but also the interplay between the succession laws and the taxation regime on the other side of the Channel. My experience is that whilst French Notaires are able to (but not always do) explain to persons buying a property in France the interplay between the French rules of succession and the incidence of taxation on a death. Notaires, as appointed representatives of the French State and whose task is to see to the collection of the taxes payable on a purchase or on a death, often find some difficulty about advising clients the ways in which they can lawfully avoid or at least reduce the incidence of the droits de succession. 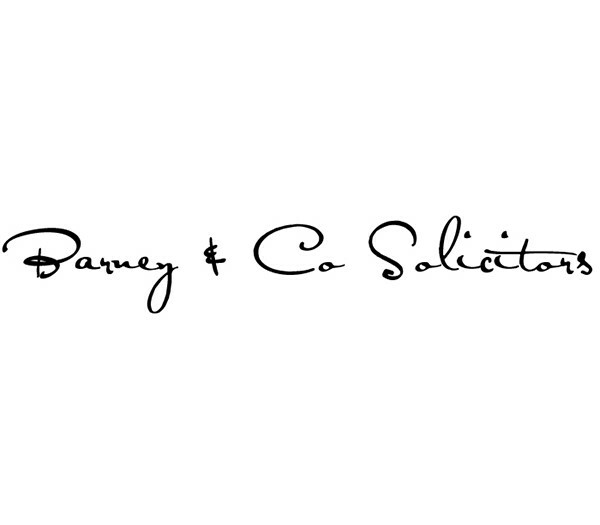 Barney & Company however have no difficulty in properly advising clients legally how to do so! The third way of owning a property in France is through a French property owning “partnership” called a “Société civile immobilière”. This structure is not appropriate for persons who are going to live in the French property as their main residence and is usually appropriate only for persons buying more expensive properties because of the increased annual costs and bureaucracy associated with such a structure. The disadvantage of the tontine structure. Holding a property en tontine, under which the property passes on the first death to the survivor, can in some circumstances actually increase very substantially the amount of droits de succession payable on the death of the survivor. This is particularly the case with high value properties and where either or both of the parties to the marriage have a child or children from a previous marriage or cohabitation. The detailed reasons for this are beyond the scope of this article, but if you need further advice on this you should contact Barney & Company for further advice on this, preferably before committing yourselves to the purchase of a French property. The main advantage of the tontine structure is to enable the surviving spouse to be able to sell the French property at or shortly after the first death and repatriate the proceeds of sale to the UK, where the same rules of entrenched succession to property do not exist and where the method of calculation of the tax of property on a death are radically different. Those differences are beyond the scope of this article, but if you need advice about those differences, Barney & Company will be pleased to give you such advice. Barney & Company, Solicitors and French Law Property Advisers are well placed to give the best advice to clients on these complicated matters. Visit the website barneysolicitors.co.uk for further details of their services and their ability to help you with regard to French property. This article is not meant to constitute legal advice. Persons buying or owning French property should always take specialist expert individual legal advice and rely thereon.